Consultation is being sought by the Bridgefoot Street Park Campaign group for a park at the derelict site on Bridgefoot Street. Members of the public are being encouraged to air their views on the amenities the new park should have and how it should look on Thursday April 20th, between 11 – 12.30pm or 6 – 8.30pm at St Catherine’s Church, Thomas Street, Dublin 8. The campaign group has already put together a draft manifesto of what that park might be and stand for. They are hoping to get feedback, advice and other ideas on the future of the park at the public consultation meetings. 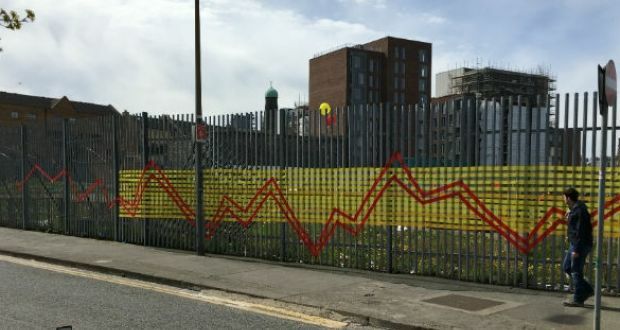 Last February, the Area Committee of Dublin South Central voted to move the derelict site at Bridgefoot to the Parks Department, which was seen as a huge victory for the locals of the Bridgefoot area. 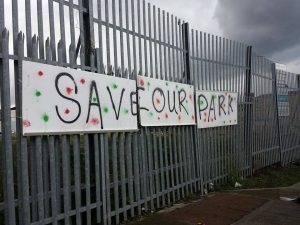 People Before Profit Councillor, Tina MacVeigh, has advocated for the site to be used as a green area for the community, and she commended the community for uniting and mobilising “to make Bridgefoot Park a reality and never let go of that vision”. The demolition of apartments blocks in 2003 has left an open scar for residents to deal with, while plans to build on the site fell through during the crash and subsequent recession. A number of setbacks have tested the patience and resolve of local residents but they remained determined to turn the area into a grassland and green area. 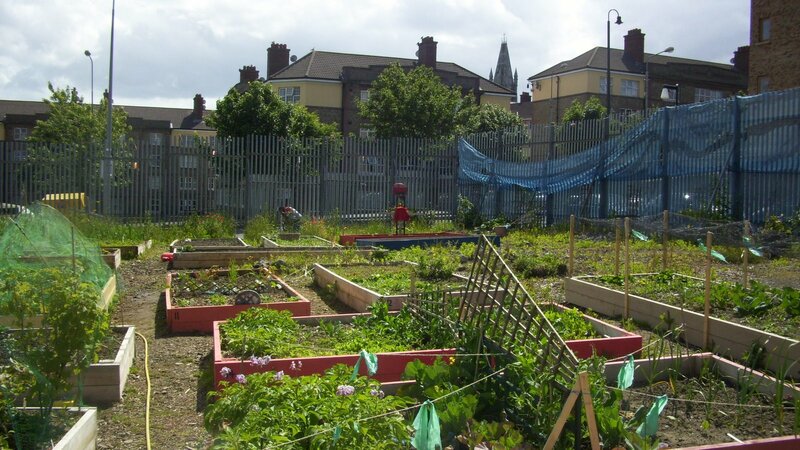 Tired of waiting for action, locals turned the area into a community garden. They have been supported by An Taisce’s Green Community programme since March 2015. The park is open every Saturday from 2pm-4pm and everyone is invited to turn up, help out and learn some top gardening tips. 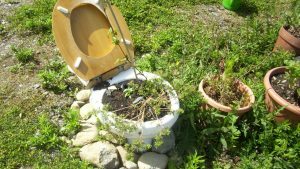 Gardeners from other green community centres have come together so that it is very much training among equals. Co-operative relationships have sprung up as a result. While Cllr. MacVeigh was delighted with the progress that has been made, she still stressed that more needs to be done. Even with the future creation of Bridgefoot Park, The Liberties still remains 65% lower than the city average for green spaces. It also held the infamous honour of being one of Dublin’s ugliest areas in 2016.